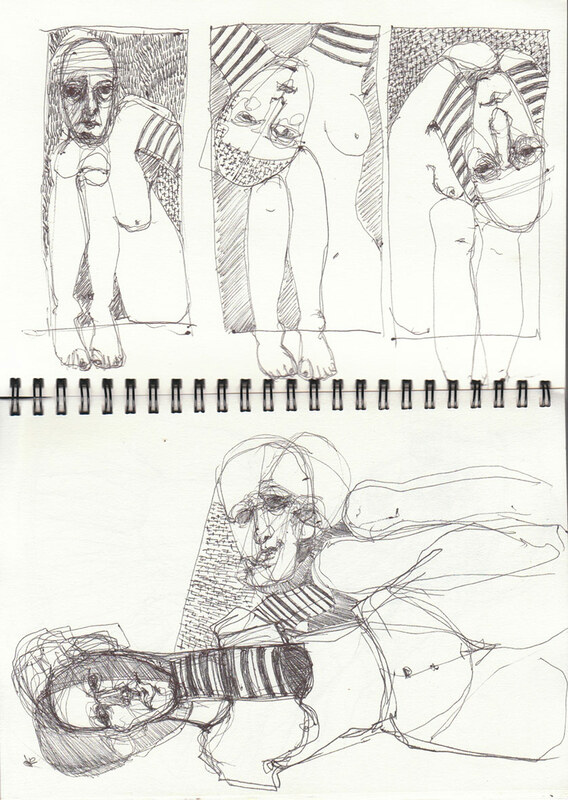 A couple of weeks ago I posted a sketch book entry ‘waiting for David’ I have started work on the individual pieces below. …and hopefully you will be ‘celebrity’ for more than just a day!!! As always, your sculptures (as pictured) are good but what grabs me are your sketches. I’d love to see your sculpture in 3d though. To be honest I hope my footage ends up on the cutting room floor and just some gallery shots are shown – that would please me greatly. Looking great Veronica, I loved those sketches. And good luck with the tv! thanks Anna – they are shaping up quite well. You don’t know how much it pleases me that you like my drawings – I love drawing but it is with rare exception that I manage to achieve that elusive line that just sings or is just so fluid it breathes a life of its own. And what I would really love to be able to do is infuse my sculptures with the same sort of essence – I am working on it. Thanks for your thoughts. I wanted to know how it all worked out and somehow I lost you – I looked forward to seeing a post (or many) about your show! I am very happy I have finally “found” you again! I like your work and I wanted to know how the show went! So now all will be revealed. YES! There was some kind of “issue” as I never saw your posts despite my limited Reader list – I think that is strange. Yet, each day I looked for you. I will have to think about this. Glad you are” found.” I don’t want to seem like a total nut. I was just looking forward to how great your show was. Well, I probably sound like a nut . . . oh well! I’m glad to hear from you again – thanks! Show went off without a hitch there is an installation video on my blog I will be taking a few more stills before it is all over. The opening was busy as there were four shows in the different gallery complex. All good fun but sadly no sales – yet – I am the eternal optimist. I am hopeful of finding a commercial gallery to take some of the work when the show is over. 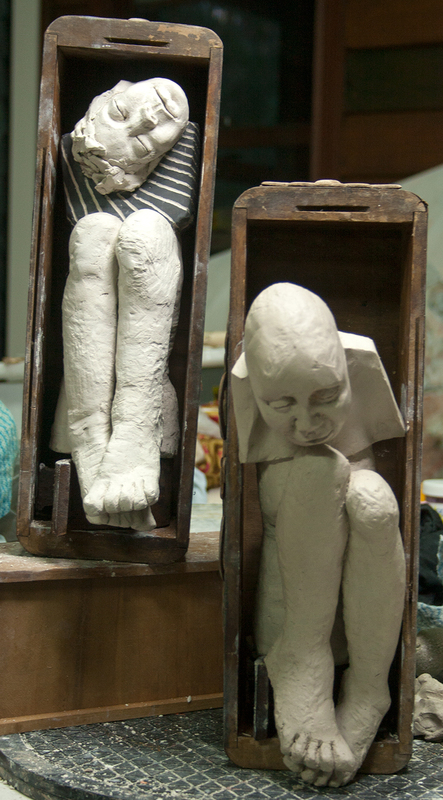 I am already working on new images and sculptures – moving on. I really appreciate your generous comments and interest. Would certainly be wonderful to have more people see your work. The new pieces are very elegant.